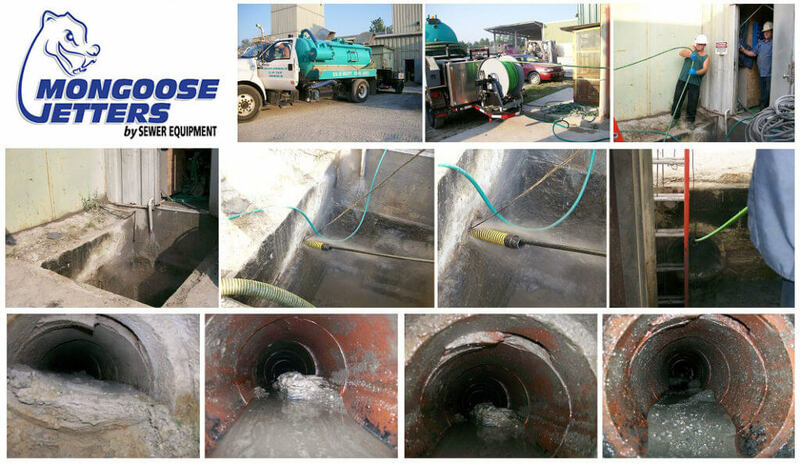 Mongoose 254 (25 GPM @ 4,000 PSI) – 600 Gallon unit with 500′ of 5/8″ high pressure jetting hose used to remove collected silt from perforated PVC drain lines. 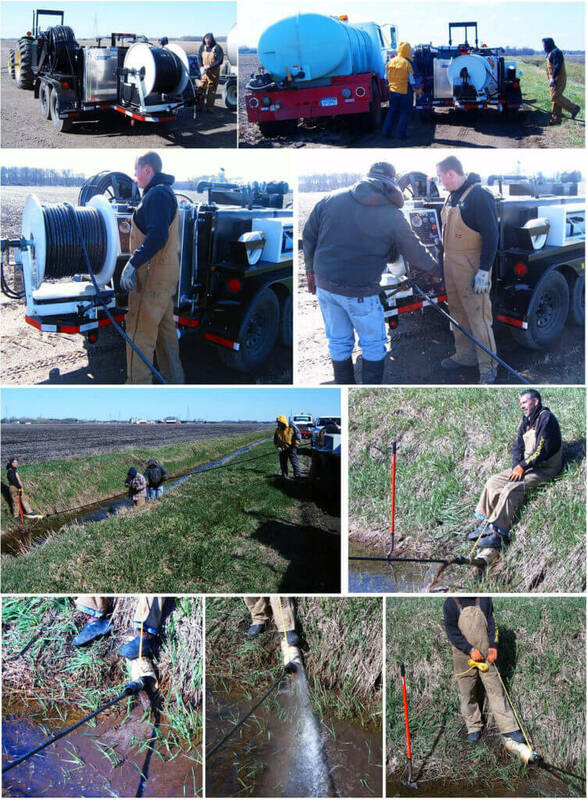 Owner constructed and mounted a second hose reel to store and carry an additional 500′ of 5/8″ hose. 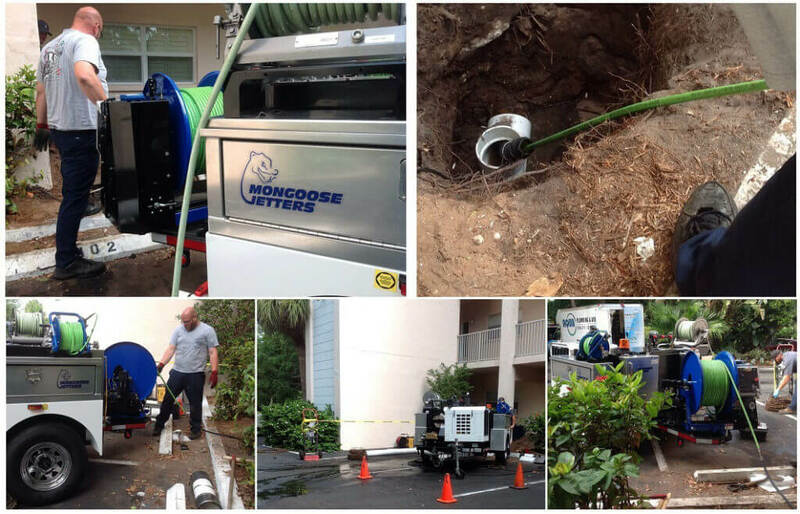 Mongoose 184 (18 GPM @ 4,000 PSI) cleaning an 8″ manhole to manhole sewer line at an apartment complex. 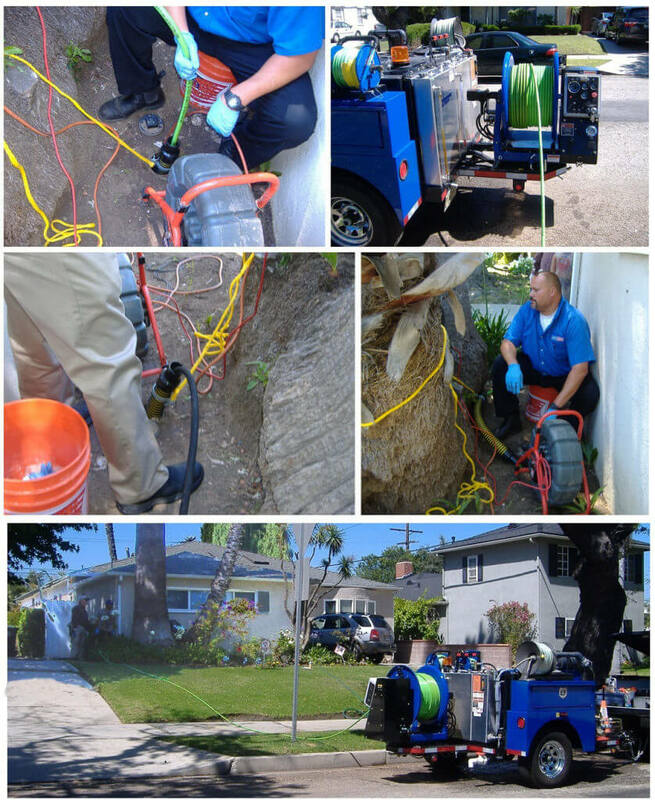 Cleaning a residential sewer line with a Mongoose 184 (18 GPM @ 4,000 PSI) and a Rigid Seesnake Camera. The camera is used to align the jetting nozzle with the root mass for precise root removal. 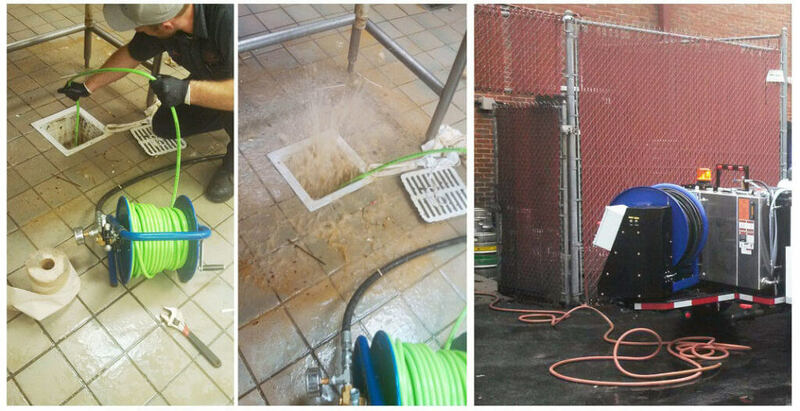 Mongoose 184 (18 GPM @ 4,000 PSI) cleaning a restaurant drain line from the kitchen to an outside grease trap. 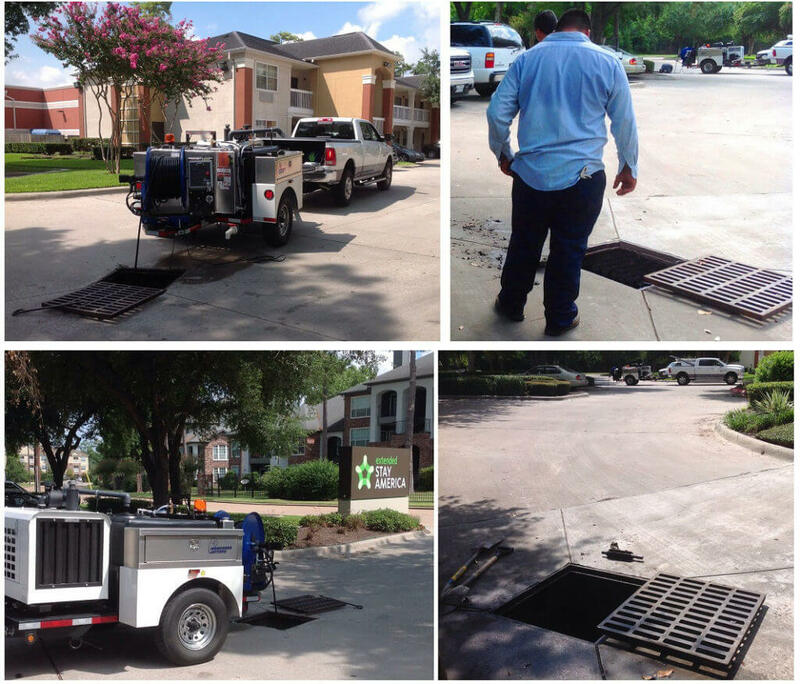 This service is done routinely as part of a preventative maintenance contract. 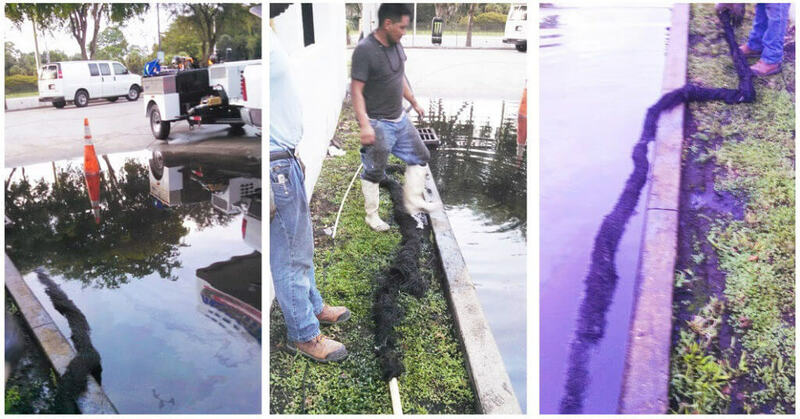 Removal of a giant root from a drain line by a Mongoose Model 184 (18 GPM @ 4,000 PSI). Installing pull ropes with a Mongoose 184 (18 GPM @ 4,000 PSI) unit. 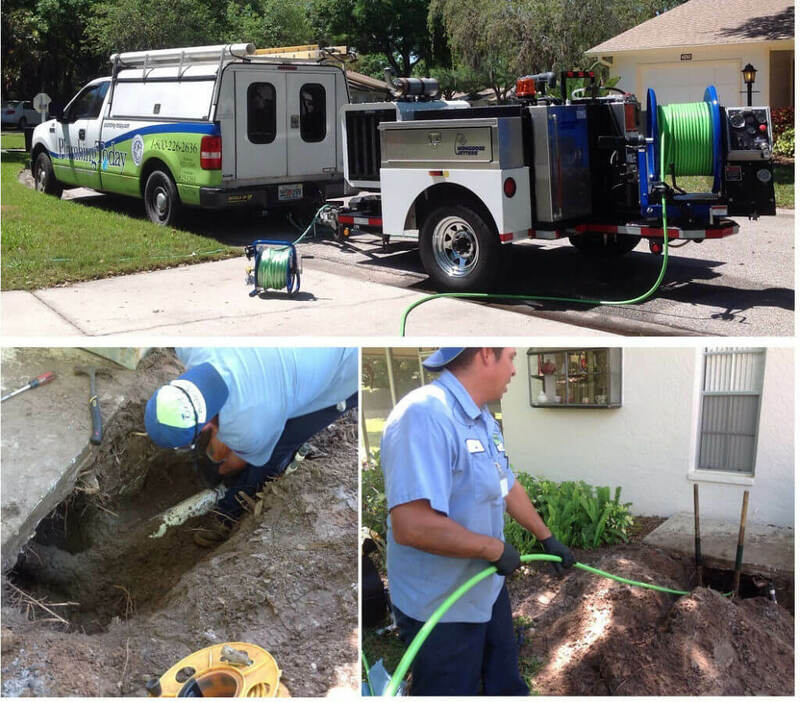 Using a six rear nozzle with tow loop, pull ropes or cables can be pulled through sewer lines or electrical conduits. Line stringing is done in advance for grouting operations or to string cables for bucket machine operations. Kitchen floor basket drains can be jetting using a small diameter hose reel kit powered by a Mongoose 184 jetting unit. 1/2″ hose supplies pressurized water to hose reels with an attached pressure gauge. Operator is able to control the pressure and Water On/Off with full function wireless remote system from inside of the building. Cement plant work with a Model 184 (18 GPM @ 4,000 PSI) jetting unit. This unit is jetting an incoming drain line at a settling pit. 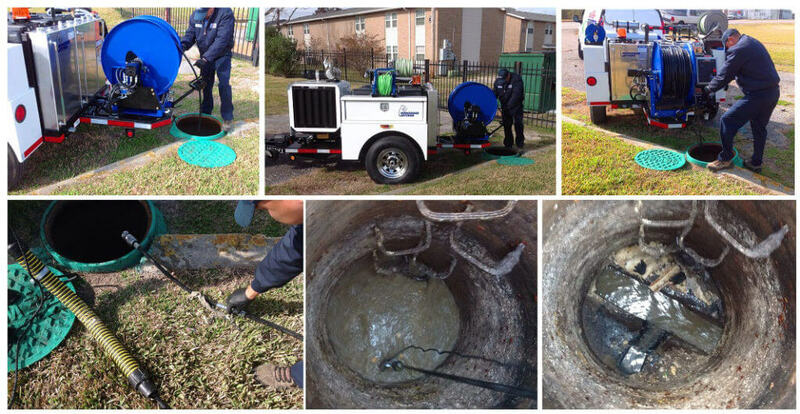 This work is being done in conjunction with a pump truck. 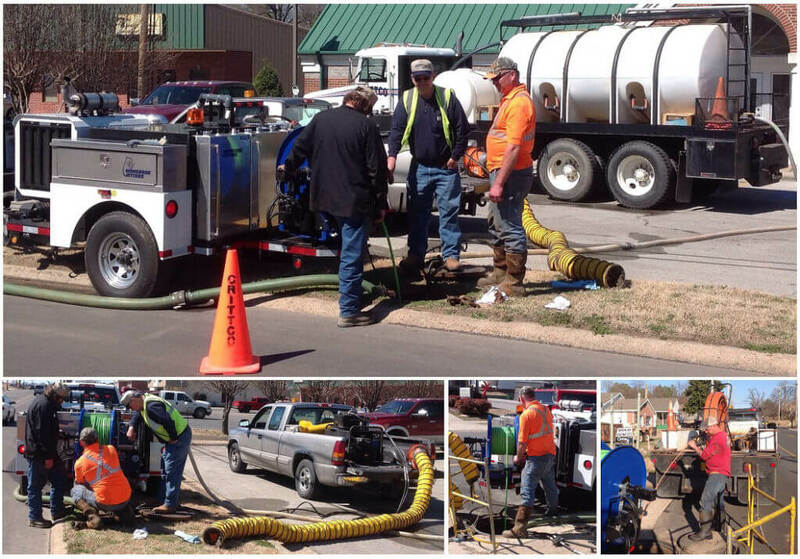 Mongoose 184 (18 GPM @ 4,000 PSI) performing cleaning on a sewer line from a newly installed cleanout. 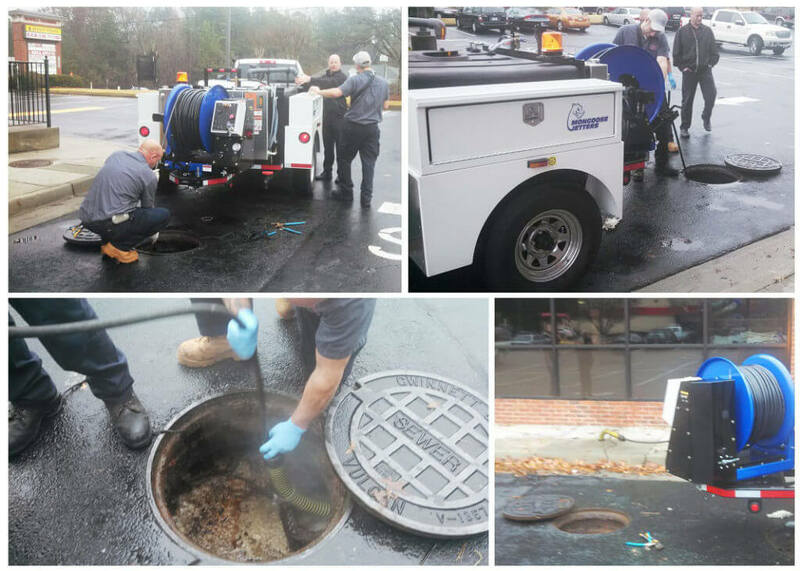 Conducting cleaning in parking lot storm drains with a Mongoose 184 (18 GPM @ 4,000 PSI). Descaling cast iron pipe with a Mongoose 184 (18 GPM @ 4,000 PSI) high pressure jetting unit. The lateral pipe is exposed for jetting access to cast iron pipe under the house. The Mongoose Jetter with a controlled rotation Stoneage Warthog nozzle is used to remove scale build up from the cast iron pipe. When work was completed, an outside clean-out tee was installed for future pipe access in either direction. A bucket was used to collect samples of the scale removed from the cast iron pipe. Most scale was removed as sand-like grit, but larger stone-sized pieces were recovered. 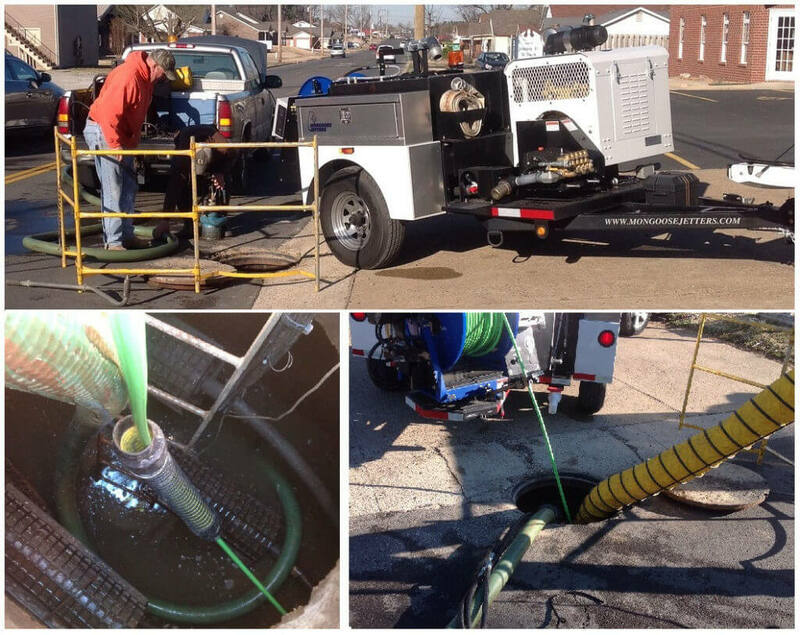 High pressure jetting being performed in fiber optic ducts prior to cable installation.